Today is the turn of Merlijn, merlijn-sebrechts on the community hub. I’m Merlijn Sebrechts, I’m a PhD student and teaching assistant at Ghent University in Belgium. I’m doing research on system administration, specifically on how we can use cloud modeling languages (like Juju!) to make system administration easier. Linux can do so much cool stuff, if it’s just configured correctly, so it’s a shame that it’s so hard to do that. I set up some of the building and packaging infrastructure, wrote some documentation about how to test and contribute to the theme and I helped review pull requests, sift through bugs, and joined the discussions in various places. I think the new theme effort started with me ranting about Ambiance on one of your (didrocks’) blog posts [Note from Didier: I confirm! ;)]. You responded saying that I was free to do something about it, so I suggested getting a bunch of the community together to create a new theme? I’d encourage anyone to just get their hands dirty and go contribute to Ubuntu. The people are nice, you’ll learn a lot and you’ll find hidden launchpad corners you never knew existed! This isn’t really answering the question, but I think that the time you (didrocks) spent bootstrapping this whole project is very well-spent time. There are a lot of passionate people out there who can become contributors if they just get a gentle push in the back and if you let them know that you don’t have to be paid by Canonical to work on this awesome project. You should do more of this: scout the comments section for people willing to get their hands dirty and give them a cool project to get started with. It wasn’t an easy decision to make, I’d much rather have 18.04 ship with a new theme, but I agree that the theme wasn’t ready, especially not for a UI freeze. I’m color blind myself, so I know that it’s easy for a theme to make a system unusable. Most people use Ubuntu to build stuff, they choose Ubuntu because it helps them get their work done, and/or because they believe in “the cause”. 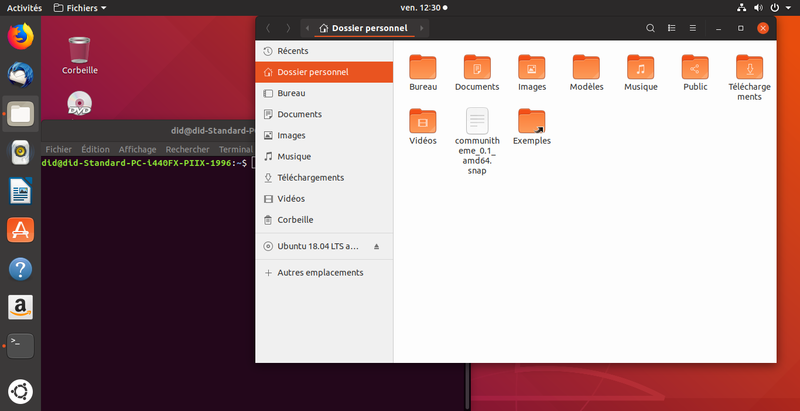 Few people choose Ubuntu because of its beauty, so functionality is very important. My main concern is that people should be able to install the theme without using the commandline. I have a bunch of non-techy friends using Ubuntu and each time they have to use the CLI to do basic stuff, I feel ashamed… However, the snap solves that! You open Ubuntu software, install the theme, reboot and BAM! you’ve got yourself a new theme, new system sounds, a new cursor and much UI tweaks! The theme is shaped by the Suru design language, with its Japanese influences, and the current Ambiance theme. I have zero knowledge of Japanese, and it seems like an incredibly complex language, so It might be totally off, but translating Ambiance to Japanese gave me Fun’iki. However, I don’t want to find out in what strange and interesting ways Ubuntu will break by having an apostrophe in a them name, and I don’t like how the word looks and sounds. It doesn’t have that earthy Ubuntu feel. Suru itself is the verb “to do”, which got me to Yaru (to do / to give) which is more informal and can be used in the context of joy and pride like proudly exclaiming “yatta!” or “I did it!”. But we have to give credit where credit is due: we couldn’t have done it without Ambiance, both the theme itself as the inspiration and the atmosphere as the motivation. We’re doing it because it’s fun, so whatever way you look at it; Ambiance gave us Yaruki: “the motivation to do”. Although I also like the sound of “Yaru” itself so ¯_(ツ)_/¯.